CAUTION: Downloading and using any leaked build of Windows 8 or any hack/crack is not only illegal and a crime punishable by law, but also pose great security risks and should be avoided. The information posted here is for news purpose only and any illegal links posted in comments will be deleted. 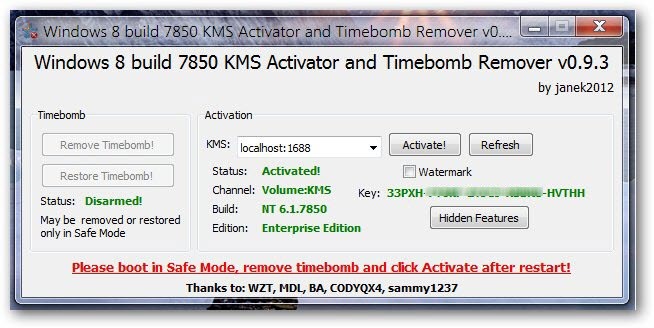 PLS link to download this "KMS Activator For Windows 8 Allows Pirates To Remove Watermark, Timebomb And Activation From Leaked Copies"
Can u sent me the link for download ? Please send me the new link to download this activator.